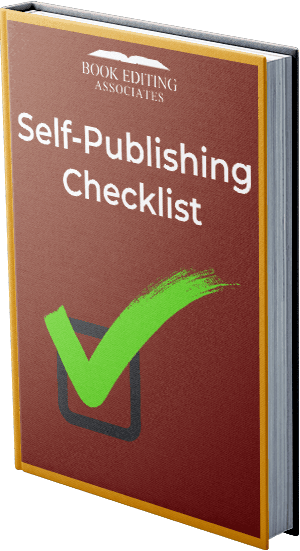 The general consensus among aspiring authors is that any yahoo can self-publish but it’s almost impossible to sell your book to a traditional publisher. The first part is certainly true, but selling to traditional publishers is actually realistic. Each year, traditional publishers in the United States publish approximately 300,000 new titles and re-editions. In the fall of 2016 I finished writing my 100th book, a tribute to Arnold Palmer. I have never self-published, and I have never written a book on spec. Most of the books I’ve written are juvenile nonfiction, but I have also cowritten “grown-up” books for Random House, Lyons Press, HarperCollins, St. Martin’s Press, and other publishers. Some of my books were proposed by me; most were assigned to me by the publishers. I was paid a flat fee for about 85 of these books and was paid an advance against royalties for the others. For most books, I earned $1,000 to $3,000. Short books paid in the hundreds. On a few books, I earned more than $3,000, but not much more. Overall, I have averaged around $40 an hour as an author. A publisher is not likely to fix a messy manuscript. Whether through schooling or years of self-teaching, you need to become a skilled writer, with strong grammar, syntax, organization, etc. If your manuscript is a mess, acquisitions editors will pass on it and move on to more professionally written submissions. They will not say, “If we spend a few weeks cleaning it up, it might work.” They don’t have the time, patience, or budget to do that. Publishers will hire copy editors to edit their purchased manuscripts, but such manuscripts are already pretty clean when they arrive from the author and need just a quick go-through. The right and wrong ways to start a book chapter. One day in a parent-teacher conference, Darla Rodgers received some bizarre news about her kindergartner, little Aaron Rodgers. Bette Lawler, Aaron’s teacher in Chico, California, remembers the story. That anecdote opens the “childhood” chapter of my kids’ book on Green Bay Packers quarterback Aaron Rodgers. Many amateur writers would have opened the chapter with “Aaron Rodgers was born on December 2, 1983,” but that would have put the reader to sleep. I suggest trying to open every chapter of your nonfiction book with an anecdote. An anecdote simply means a “little story.” To readers, these little stories are like bite-sized oatmeal chocolate chip cookies. Yum! Use anecdotes liberally. The first chapter in your book could open with a long anecdote, followed by an intriguing preview of what’s to follow in the book. Think Dateline on NBC. Dateline typically begins with a short, dramatic story, then follows with a fascinating synopsis of what’s to come. Novels and children’s books are the hardest markets to crack simply because of the competition. Amazon lists more than 3 million titles under Literature-Fiction, most of which sell in low numbers (i.e., self-published novels). Traditional publishers don’t want to take a chance on a new novelist while competing with an overwhelming number of competitors. You will need a literary agent. The large publishers don’t accept unagented submissions. Moreover, literary agents—with rare exceptions—won’t consider a novel unless the author has a proven record (i.e., sales of their previous novels are in the thousands). If your novel is truly superb, you might find luck with small publishers. Search those that publish novels in your genre. The children’s book market is a tough place to start. Publishers get bombarded with children’s fiction book submissions—I think for two reasons. First, millions of parents read book after book to their kids and think they can write a book that’s just as good. Many try. Also, writing a thousand-word kids’ book is infinitely easier than penning a novel. A better option for first-timers: the middle grade and young adult market. If you’re inclined to write fiction, consider the middle grade and young adult genres. There’s a large audience, and the books are shorter. Middle grade novels can range from 10,000 to 30,000 words, and young adult novels can range from 25,000 to 50,000. Publishers receive far fewer nonfiction submissions per year. If your writing, subject matter, and proposal are strong, you have a realistic chance of selling your nonfiction book. If you specialize in a particular subject—from border collies to patent law to Metallica—your knowledge is of interest to many others. Publishers give you the means to communicate with those who share your interests and value your insights. Search publishers that publish books in your genre. For me, the best source for finding publishers is WritersMarket.com. Their site allows you to search publishers by genre, and they’ll list contact info, submission guidelines for each publisher, and genres they’re currently seeking. Follow each publisher’s submission guidelines, which can be extensive. They may want several chapters, an outline, a synopsis, and more. WritersMarket.com’s subscription fee is just a few bucks a month. In my career, I have been shameless in proposing, writing, and editing books with high human interest. Some of my books include The Beatles: Fifty Fabulous Years; Big Papi: Thanks for the Memories; and JFK Day by Day. When the TV show Who Wants to Be a Millionaire? was all the rage, I edited How to Be a Quiz Show Millionaire. What’s old can be made new again. Try to find a fresh take on a popular subject. For example, I didn’t consider a book on the Chicago Cubs’ world championship season of 2016 because I knew many other competing books would be out there. However, I did consider a book solely on the epic Game 7 of the 2016 World Series. Think smart. In old age, legendary CBS News anchor Walter Cronkite wrote a foreword to a book I was editing entitled The Sixties Chronicle. I had to pull out ol’ red to correct his grammar as well as a couple of factual mistakes. I’ve worked with over 300 authors over the years, and every single one of them has needed an editor. Developmental editors, line editors, copy editors—they all can make your manuscript better. The better it is, the higher your odds are of selling it. It’s that simple. If you don’t sell the book to a traditional publisher and instead need or want to self-publish, your need for copy editing/proofreading is even greater. Reviewers, including Amazon readers, will downgrade a mistake-filled book, and bad reviews will doom a book. Conversely, a well-edited, mistake-free book looks professional, increasing the odds that it will attract a five-star review. DAVID ALAN has edited more than 200 books and authored nearly 100 books for 30 publishers. His edited books have earned more than $20 million in sales. Writer – Author – Novelist | When Does a Writer Become an Author?